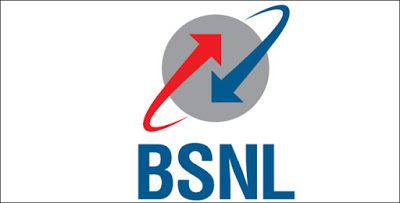 BSNL Recruitment 2018.Bharat Sanchar Nigam Limited has released a notification for the recruitment of Graduate Engineer to the post of Junior Telecom Officer (Civil & Electrical) from the Open Market through GATE Score-2019 under Special Recruitment Drive (SRD) for SC, ST & OBC candidates.Check the eligiblity and notification prior to apply for the positions. 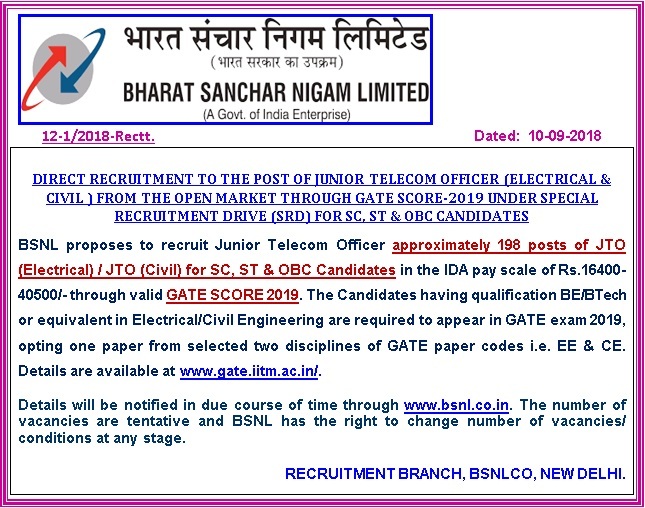 The above said recruitment is to be done through GATE Score Card and Gate registration process has started from 01.09.2018. Qualification: B.E/ B.Tech (Civil/ Electrical Engg. ), valid GATE 2019 score. Online application start and end date: yet to be updated.